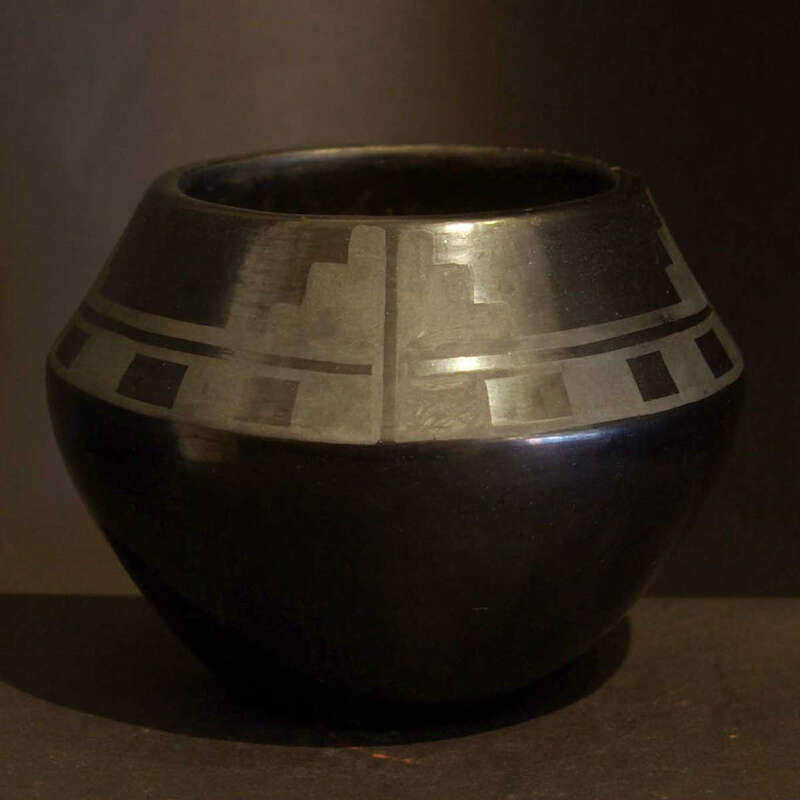 Tonita Roybal was one of the early well-known potters from San Ildefonso. Had Maria Martinez not been given such fame, Roybal surely would have been: her work was acknowledged to be as fine as that of Maria. She learned to make pottery from her mother, Dominguita Pino Martinez (1860-1948). Her brother, Cresencio Martinez (1879-1918), married Maria's sister Anna Montoya. Tonita was also an aunt to Santana Roybal, who later married Maria's son Adam Martinez. Dominguita Martinez was famous for her "black-on-red" style of pottery, and this was a style which Tonita mastered early. 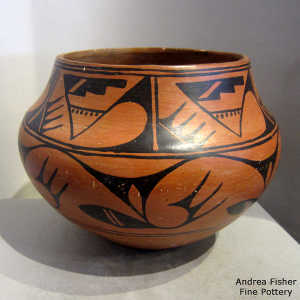 After 1920 and the advent of black-on-black pottery, Tonita invented the red-on-red style with the white outlines. Both Tonita and Juan were fascinated by pre-historic pottery. Those designs and their influences can often be seen in their work. After 1913 she began "combining the layout of Nampeyo's Sikyatki revival style with elements from Acoma and elsewhere". 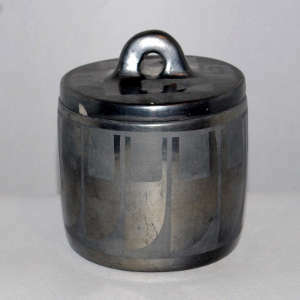 By 1925 Tonita was at the peak of her career, then she died an early death in 1945. Tonita was married twice. Her first husband was Alfredo Montoya (1890-1913) and after he died, she married Juan Cruz Roybal (1896-1990) in 1916. 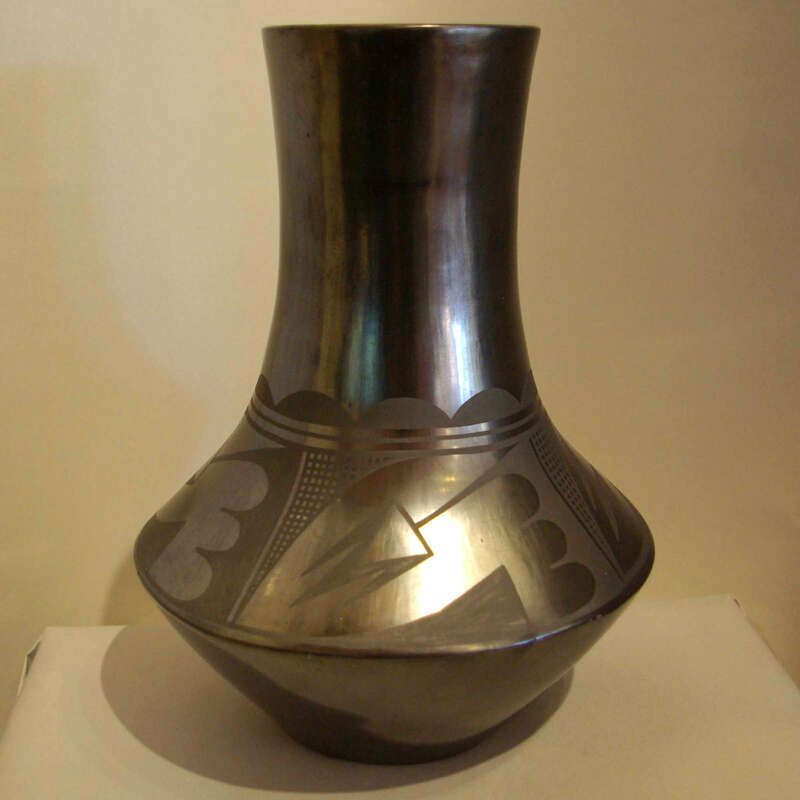 Tonita began making pottery in 1909. Beginning in 1917, Juan started painting some of her pottery and after 1930 he painted a majority of her pieces. 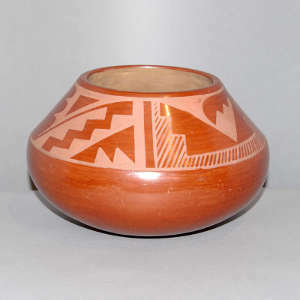 When Tonita made the pottery and did the painting, these pieces were signed "Tonita". 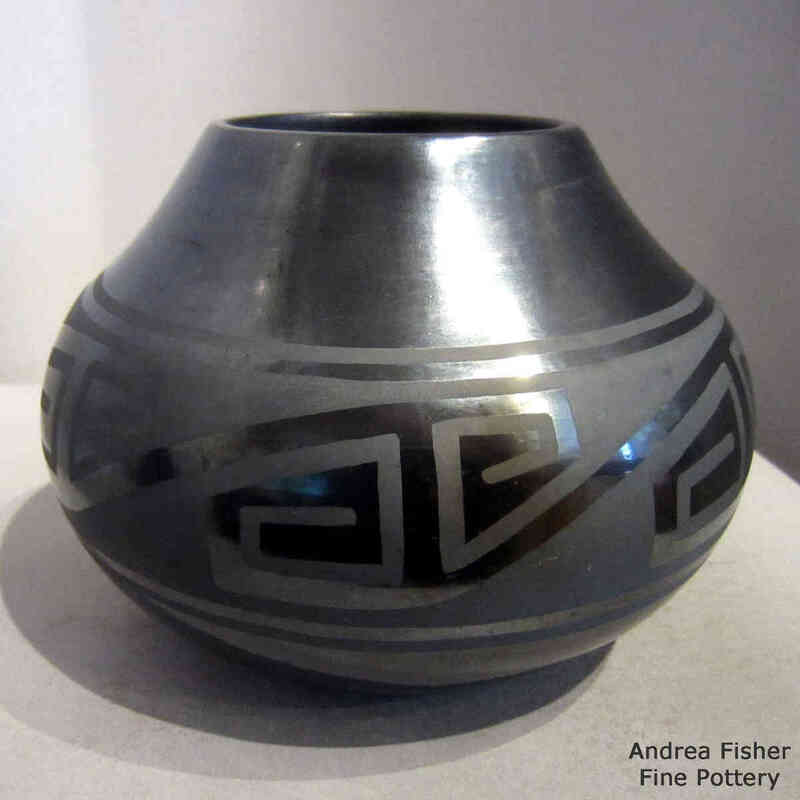 When she made the vessel and it was painted by Juan, they were signed "Tonita and Juan".